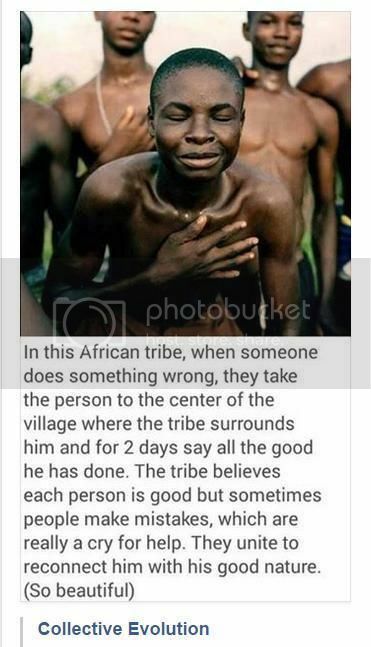 African Tale of Justice, Could It Work In America? 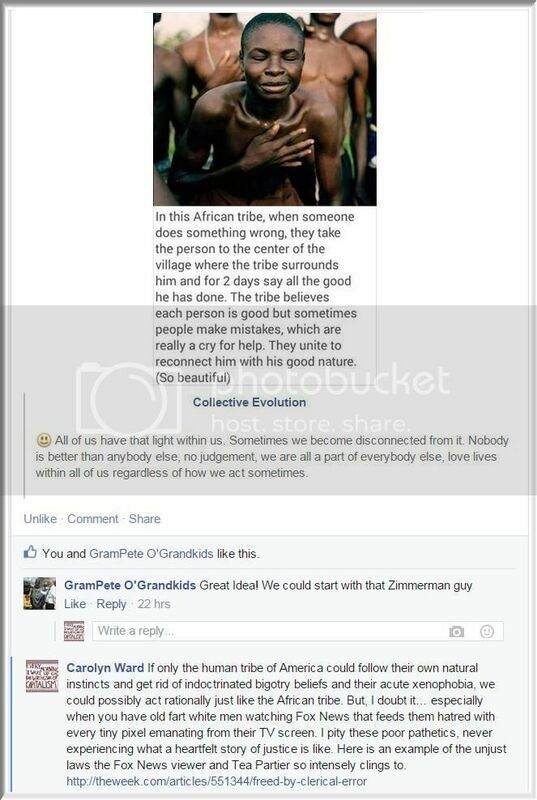 If only the human tribe of America could follow their own natural instincts and get rid of indoctrinated bigotry beliefs and their acute xenophobia, we could possibly act rationally just like the African tribe. especially when you have old fart white men watching Fox News that feeds them hatred with every tiny pixel emanating from their TV screen. I pity these poor pathetics, who never experience what a heartfelt story of justice feels like. 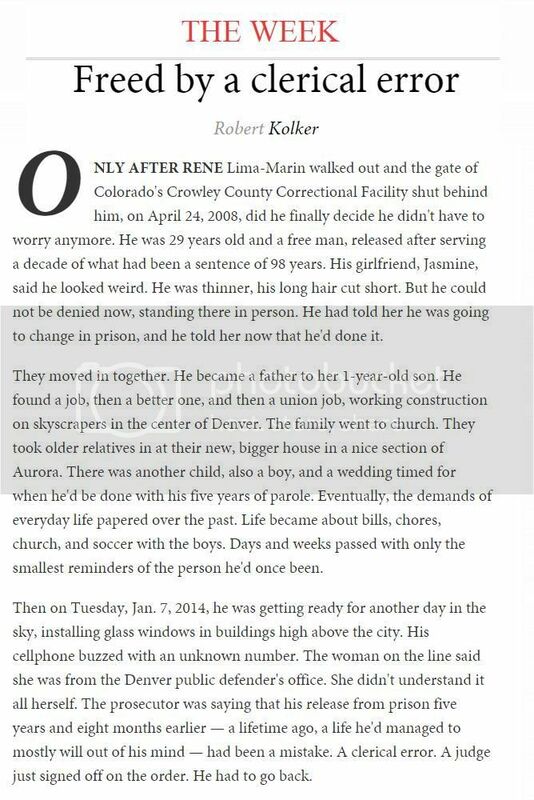 This article in The Week magazine is an example of the unjust laws the Fox News viewer and Tea Partier et al, so intensely embrace.